Getting a new office machine for your business can be an exciting time. It opens up new opportunities for your business and you can begin to be more successful in all your work. These machines are be expensive and are a big investment for your business, which is why you need to make sure you are ready to use it for years to come. Making sure that your copier is correctly setup is crucial to having future success, which is why you should pay for professional copier installation. 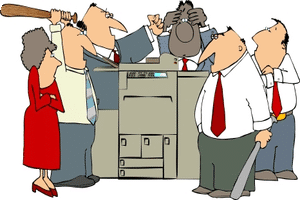 The common mistake is to assume that anyone with a tech background can handle installing a copier. However, this is not a skillset that your IT department is going to be able to handle competently. They are not the same skillset, just as you would not trust your copier technician to fix your Wi-Fi problems. Getting professional copier installation is always worth the money. There is nothing worse than spending all that money to get a great copier for your business only to have it let you down later on. Professional Copier Installation is the only true way to know that your machine is going to be set up the way you need it to be.